Smoking marijuana is so last century. More than ever, people are partaking of cannabis not by setting it on fire and inhaling, but by putting it in the oven and baking. Or, even more likely, buying it from a dispensary, already cooked and ready to go. Of all the things that are booming around marijuana – jobs, startups, public works projects – the edible market stands out as notable. In Colorado alone, the sale of edible marijuana products tripled between the first quarter of 2014 and the third quarter of 2016, from $17 million to $53 million, according to a report from the San Jose Mercury News. Those working with edibles have continued to diversify their offerings. Now, people who decide to eat cannabis rather than smoke it can choose from gluten-free, vegan and organic offerings. You can buy marijuana-infused jams, coffee and granola. In another words, it’s expanded much beyond brownies. 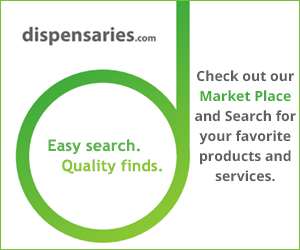 On this site, you can see the huge variety of edible offerings, from cannabis-infused water and chocolate to pet treats. Many do not have THC, the chemical that gives you the “high” feeling, but rather than cannabidiols that many use for medical purposes. Edibles also are at the forefront of “micro dosing,” which involves taking just a small amount of cannabis. For example, an Oakland company specializes in making chocolate-covered expresso beans and blueberries. A student had an example of how it can be used, telling the Mercury News he eats a bean just to help him manage the stress that sometimes piles up at school. The popularity of edibles also has something to do with the benefits of eating, rather than burning and inhaling, marijuana. They include some of the following. No smoke. The obvious one, first. For some people, the smoke of marijuana can prove too irritating to their eyes and lungs to enjoy. Also, the smell is a turnoff for some. Longer lasting. The effects of smoking marijuana take hold fairly quickly, usually within 10 minutes. However, it wears off within one hour to three hours. While it takes it longer to feel the effects of marijuana when you ingest it – as long as an hour, depending on whether your stomach is already full –the effects can last much longer. The comedown also isn’t as abrupt. Pain management. As noted, because the effects last longer, ingesting marijuana can provide relief longer for those looking for relief from aches and pains. More tidy. Smoking marijuana is a bit of a production. Ingesting marijuana is easy as simply popping whatever edible you have chosen into your mouth. No fire, no smoke, no smell. One word of caution: because the effects of ingesting marijuana take longer to feel, it’s easier for people to either overdose or under dose. The wise choice is to eat a small amount and then wait for at least an hour to gauge the effect, then decide if it’s the proper amount. Clearly, the legal marijuana industry is growing, and edibles are a large part of that growth. It provides another way for people to get relief or enjoy marijuana without the traditional way of burning and inhaling. Just make sure you are in a safe environment and measure what you need carefully.